These Reebok Women's Navy RB195 Leelap Retro Jogger Oxford EH Steel Toe Shoes look like they're styled for the basketball court, but they're made for the work place. You can wear these Reebok shoes in either place, or in anyplace you desire, really. There's nothing ... (see full details) (see specifications) #RBKRB195. These Reebok Women's Navy RB195 Leelap Retro Jogger Oxford EH Steel Toe Shoes look like they're styled for the basketball court, but they're made for the work place. You can wear these Reebok shoes in either place, or in anyplace you desire, really. There's nothing wrong with having comfort and steel toe protection even when you're off the clock. Who knows when an object is going to fall from the sky and come barreling towards your toes, right? The navy blue uppers of these steel toe shoes are styled with soft suede leather. Suede is known for its touchability and fuzziness, but some people may not know that is it actually a type of leather. No, it isn't as abrasion resistant as let's say, full-grain leather. But all leather is naturally durable against wear and tear, so these suede leather work shoes will still hold up great. Brushed nylon was used to make a lightweight lining layer inside these Reebok women's safety toe shoes. Don't let the thickness fool you. Nylon is abrasion-resistant and durable against repeated use. It's also light and breathable, promoting air flow to keep your steps cooler in these steel toe oxford jogger shoes. EVA foam was used to create the soft, airy interior. Lightweight EVA foam cushioning and EVA heel pads soften shock every time you take a step in these steel toe oxford shoes. The inserts are styled in a removable design for easy cleaning and odor prevention. More EVA was used in the midsole wedge, part of the dual-density sole design. The bottom layer of the soles on these Reebok shoes are made with shock-resisting rubber that helps you bounce back from every step. The soles are also Electrical Hazard rated for protection from electrical hazards. These EH work shoes absorb up to 600 volts of electricity, and you stay safer. Speaking of safer, these Reebok shoes are finished with ASTM F2413-05 rated steel toes. They protect you from falling objects, and guard you from danger. You know, like random object falling from the sky. Or more realistically, workplace hazards. So if you love athletic comfort with steel toe protection, try these Reebok Women's Navy RB195 Leelap EH Steel Toe Retro Jogger Oxford Shoes. Ever thought about matching your work shoes with your male co-worker? Well, guess what. The RB1975 are the exact same pair as these Women's Reeboks, except they are made for men. If you liked the C195, you will love the RB195. I think these Reebok RB195 womens work shoes are the most comfortable steel toed shoes I've ever owned. I really like the fact that they look like regular shoes. I'm very impressed with all the new stylish steel toed shoes they have for women. It was very hard to decide which pair to buy. I'm very happy with my choice, they were reasonably priced and are a perfect fit. I have a bunion on one foot and psoriasis on both feet so finding comfortable steel toed shoes is very important to me as I'm on my feet for 10 hours every day. Will definitely buy more shoes from you. Very well of holding up with feet comfort & keeping your feet cool while you work! I had no problem with getting spills off them. My back didn't hurt after being on my feet for 10 hours day. I would recommend these to any one! I love these steel toe sneakers they are so comfortable. Later on I will buy the other color because they are so comfortable. I cannot believe it, I have to have more than one pair. The other work shoes I have owned are so heavy and bulky these are the complete opposite. I live these Reebok shoes for work. I wold truly recommend these shoes to anyone looking for a comfortable pair of steel toe work shoes. I also got a lot of compliments on them at work, all my co-workers asked me about this shoes. I would re-purchase anytime. 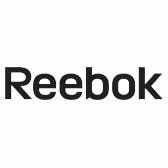 I am on my feet for 10-12 hours per day so I really can say these Reebok shoes are the best!!! I work for a company that has 12 shift and work 6 days a week, so I needed a pair of shoes that was going to help my feet. I went to this website and saw the reviews on this shoe and purchased a pair, had them for 2 week, they are very comfortable. I would recommend you buy some more insole for comfort. I would recommend this product to others. I have three pair of Reebok steel toe shoes and these are my favorite. They are light weight and my feet feel good at the end of the day. That matters a lot as I am on my feet walking for 8 hours daily. The only con is they are a little warmer to wear, so I don't wear them a lot in the summer months. I would buy again. Reebok Shoes: Women's Navy RB195 Leelap Retro Jogger Oxford EH Steel Toe Shoes is being added to your cart.